Looking for a fun way to lose those calories and tone up that bod? 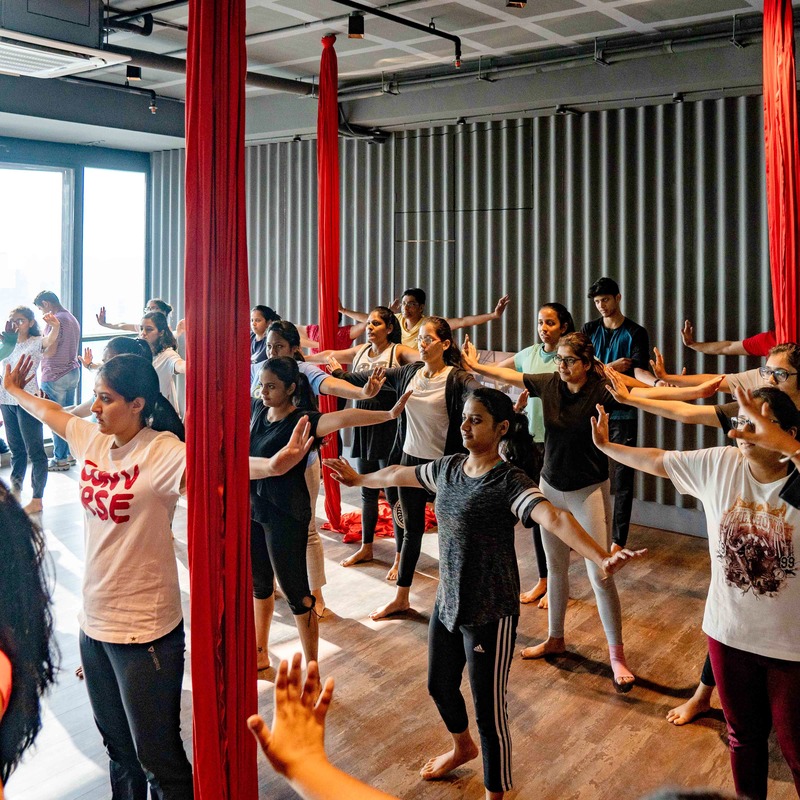 Arts in Motion has now opened in Andheri - they have two other studios in Sion and Khar - which is great news for those of us living in the Western 'Burbs. Making Mumbai fitter since 2004, this studio chain combines dance, yoga and more for an all-round fitter you. We love the diverse range of activities available here. There's an all-body aerial workout where you're challenged to learn different yogic asanas, Pilates and acrobatics that challenge your strength and flexibility while balancing on a fabric hammock and also an energetic Bollywood-inspired dance class that's sure to be fun and also work up a serious sweat while grooving to the beat. For the street savvy crew, there's Urban Hop, which is a street dance class where you can bust out your best popping and locking moves, and outlet also offers classes in Belly Dancing, Contemporary and Salsa too. If you don't want to commit just yet, no worries. You can book a single class or even drop in to the studio to try out a class you might like. Classes start at INR 750 for a drop-in session on Aerial Silk. You can also opt for package deals once you've decided what suits you. These tend to be more pocket-friendly than an individual class. If you're looking for a fun way to get fit or want to perfect those dance moves for your next club night, we suggest you drop in and try their different classes to find what works for you. There are multiple options with regards to timing and some classes are post 8 PM which make it convenient if you're heading there post work.